This week's featured blogger - Lisa at Read. Breathe. Relax. Let's step away from besties...What is the worst book that you've ever read and actually finished? 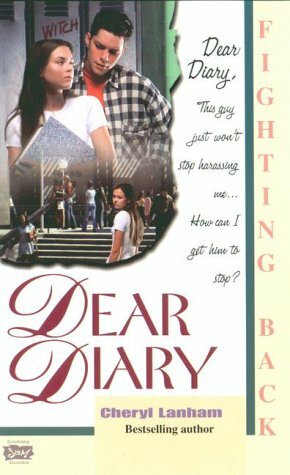 It's definitely going to be Fighting Back (Dear Diary Series #6) by Cheryl Lanham. Amber Makepeace. Need I say more? Lucky for me I aged and grew better taste! Ha. I haven't heard of them either, but I am so glad someone else actually named something! My Follow Friday. Have a great week! Hi! New follower :) I hope you can stop by my blog soon! Thank-you for stopping by my blog (and for replying on BookBlogs) :) I am now following you back. I actually snorted when I read the MC's name. It isn't all that bad though. I liked the babysitter's club at one point. A fact I would rather forget. But still. Amber Makepeace? hahahahha! Hopping through. That does sound like a rather silly book. I might have liked it as a young, young teen though. Thank you for visiting my blog and the follow. I'm following back. :) Sorry it took me a couple of days to get here and leave a message, though. Weekends can get a little hectic for me sometimes. :P Can't say that I've heard of this book either.. but it doesn't sound very good. LoL.